So, Christmas is over and the new year is almost here. I am busy trying to put some new things together for the upcoming year. I love the idea of monogram letters, and hope my customers will too! 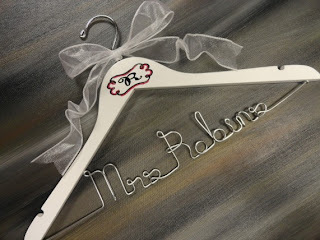 I am painting monograms on then hangers, glassware, and pillows. I am working on other painted designs for hangers and glassware, to make a set. 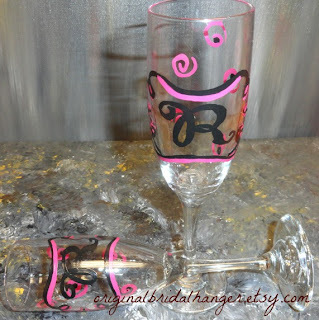 These will make nice gifts for bridal showers. 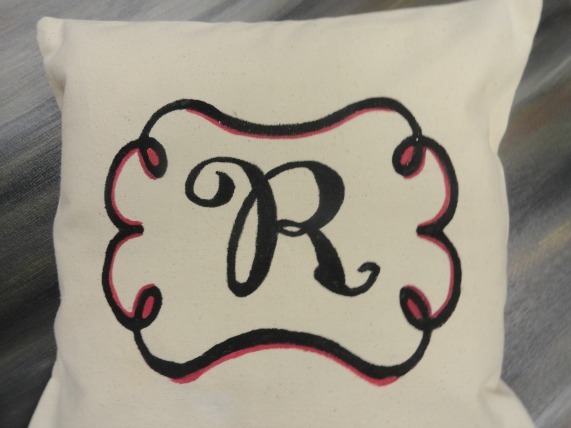 Each monogram letter will have a different design around the actual letter. 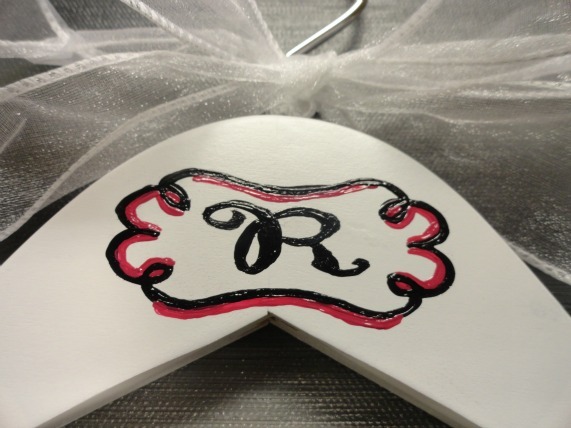 I am thinking about painting each one with a different color in addition to the black. These pillows are 14" x 14". I include the insert. I get them locally and they are really nice for the price. 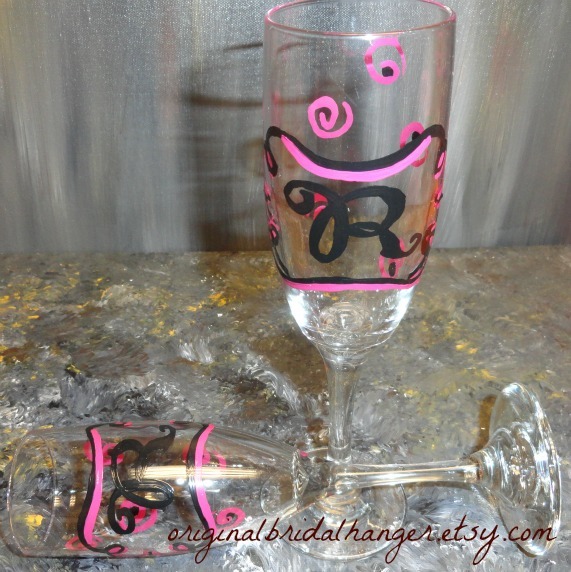 Having customized toasting glasses for your big day, really makes your toast extra special. 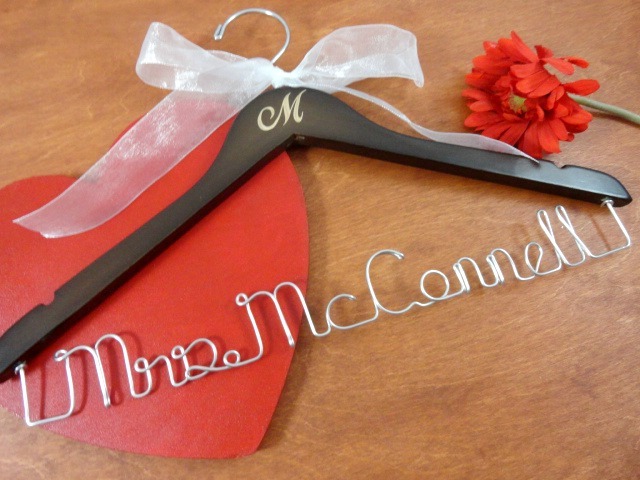 They also make nice keepsakes. 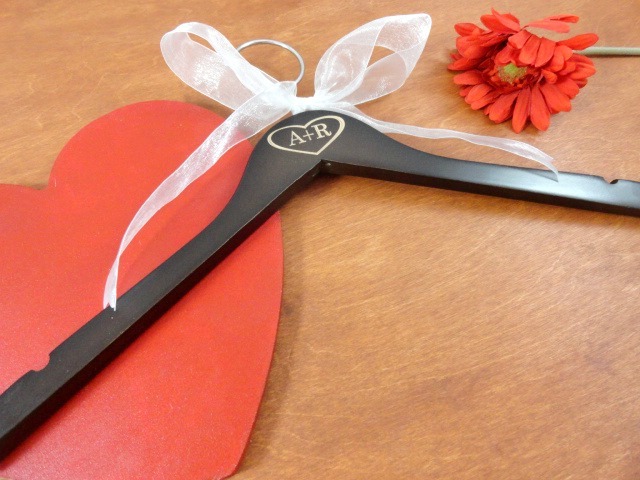 These are fun to have for favors too! 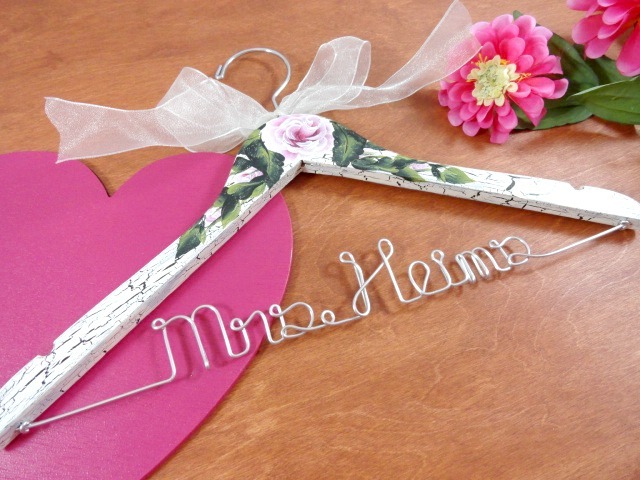 I would love to hear what you think about my new projects.....Don't forget about my bridal hanger giveaway. Check out my blog for more information!